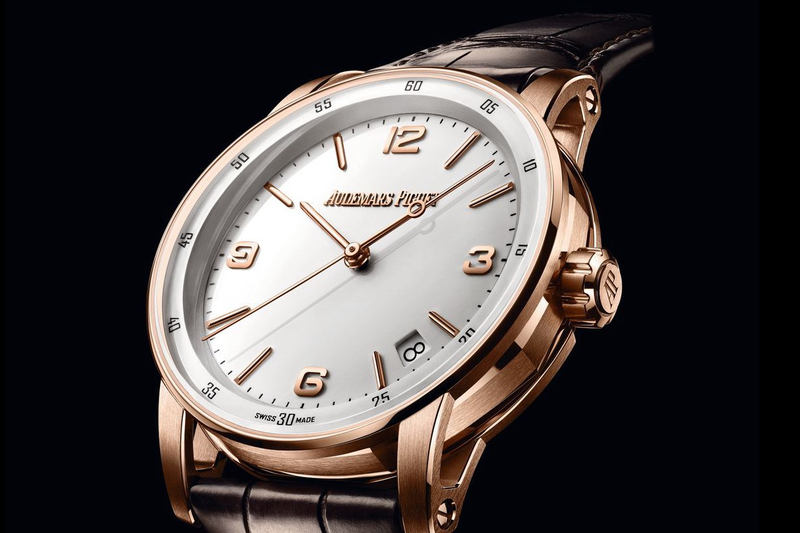 Audemars Piguet certainly took the prize for most controversy generated at SIHH 2019 with its new collection, CODE 11.59, which has been both praised and decried. The round watch is a stark departure from the perennially popular Royal Oak and Royal Oak Offshore collections, but hides an octagonal case middle like its siblings. Other minutiae abound, from the hollow lugs that are welded only at one point of attachment, to the sapphire crystal that’s curved along two axes. It’s different, for sure, and time will reveal just how successful it is. Heed our advice: This new collection’s timepieces must be seen and handled in person first before making any judgement. 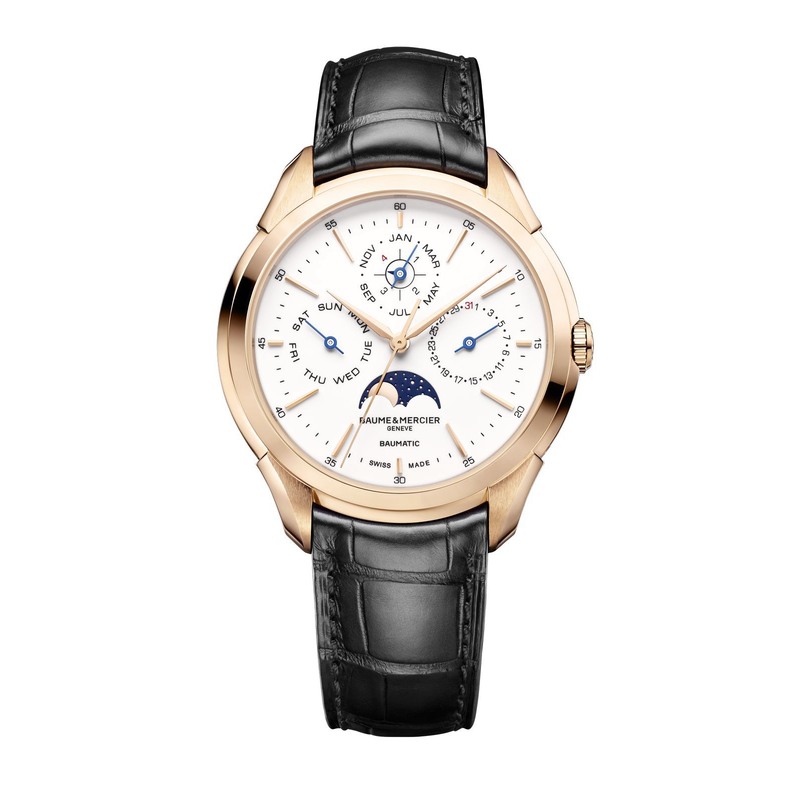 What’s a year without another stunning technical innovation from Vacheron Constantin? The manufacture’s highlight this year is the Traditionnelle Twin Beat Perpetual Calendar, which showcases the brand’s considerations about how energy should be managed vis-à-vis timekeeping. At the core of the watch are the two balance wheels and escapements at five and seven o’clock, hence its name. One beats at a brisk 5Hz, while the other does so at a leisurely 1.25Hz. The catch here is that only one beats at any one time, and the active regulator is selected by the user. It’s a simple idea: The user selects the 5Hz balance during active hours when the watch is on the wrist, and switches to the 1.25Hz standby balance when the watch isn’t being worn to conserve energy. The difference is phenomenal – using the 5Hz balance exclusively will exhaust the power reserve in four days, while the 1.25Hz balance will take a whopping 65 days to do the same. Richard Mille is ending its participation in SIHH with nothing less than 10 new references based on existing models. Dubbed the Bonbon collection, these new watches are spread between the Sweet and Fruit lines, and produced in limited runs of 30 pieces each. Expect a psychedelic blast of shapes, colours, and textures that conjure up images of various fruits, pastries, and confectionary. 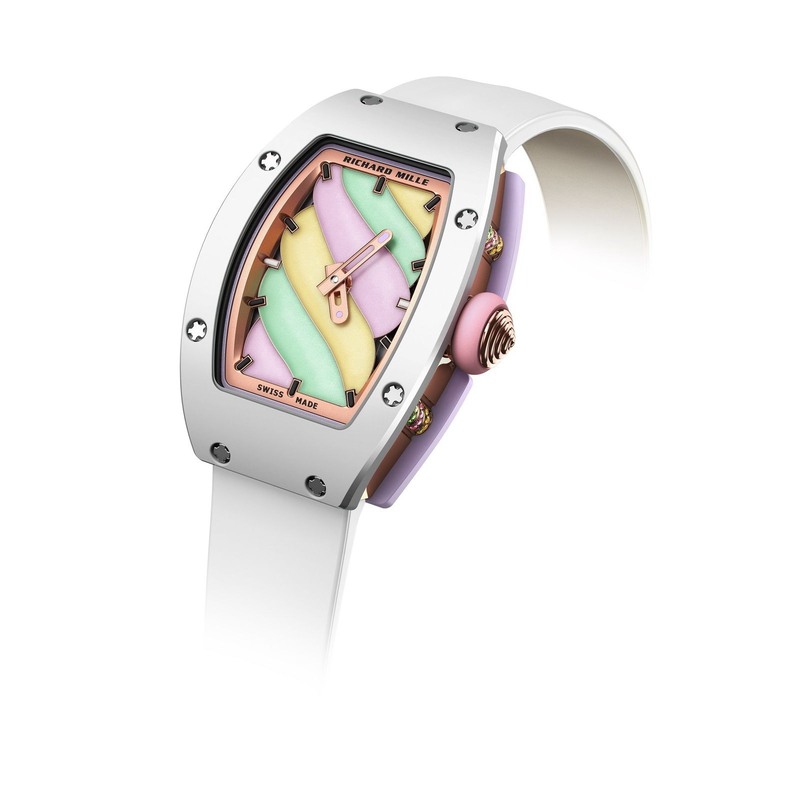 It’s a far cry from the ultra-technical Richard Mille we’re familiar with, yet the departure is a welcomed one – the range of metiers that were tapped into to realise this collection is as impressive as ever, while the spirit that it evokes is a breath of fresh air. Long an icon of Hermès, the iconic Arceau case has been chosen by the brand to house its take on the moon phase. 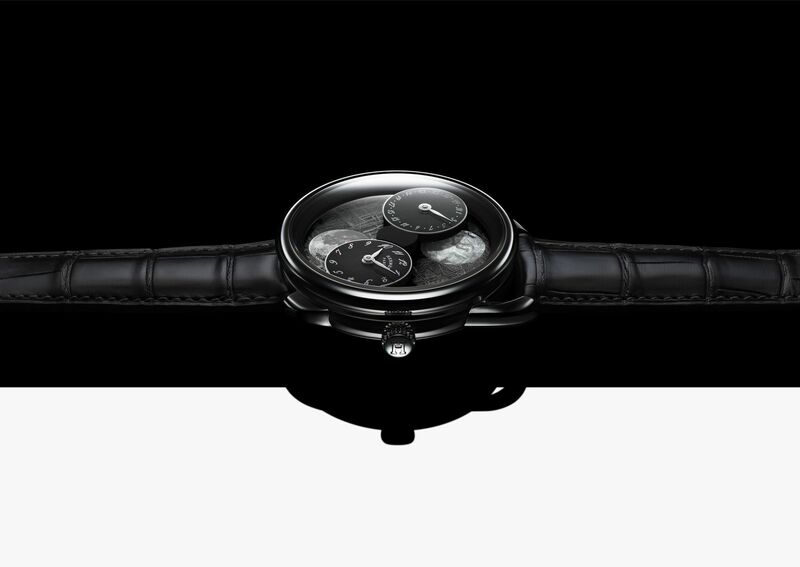 In the Arceau L’heure de la lune watch, two lacquered dials – one indicating the hours and minutes and the other the date – make a slow dance around the dial as they orbit each other. Beneath them lie two moons that wax and wane according to the passage of the dials. The orbit has been programmed via wheels to take 59 days, and thus reflect the moon phase in real time. In a curious reversal, the moon at six o’clock shows the view from the northern hemisphere, while the moon at 12 o’clock shows the view from the southern hemisphere, due to the clockwise possession of the dials. Two references are available in limited runs of 100 pieces each. One has a background of aventurine and the other, a slice of meteorite. Girard-Perregaux’s Laureato was among the pioneering batch of sports elegant timepieces that came in the wake of the Royal Oak, and now stands as a fully-fledged collection in the brand’s line-up following its reintroduction in 2017. The brand has further extended the line with a new variant, the Laureato Absolute. Conceived to have an even stronger technical slant, the new collection is all business with its PVD-coated titanium cases, rubber straps, and deeper 300-metre water resistance. The models available for now include a time-only variant, a chronograph (shown here), and a worldtimer. 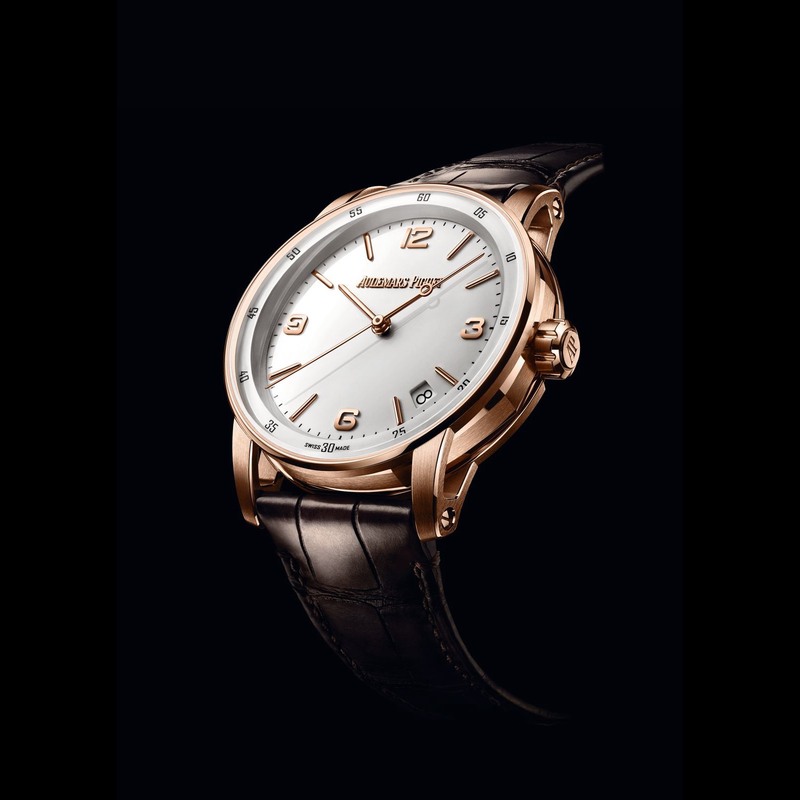 Baume & Mercier’s Baumatic line was introduced last year, and gave the brand a shot in the arm in its bid to offer reliable, well-made timepieces with undeniable value propositions. 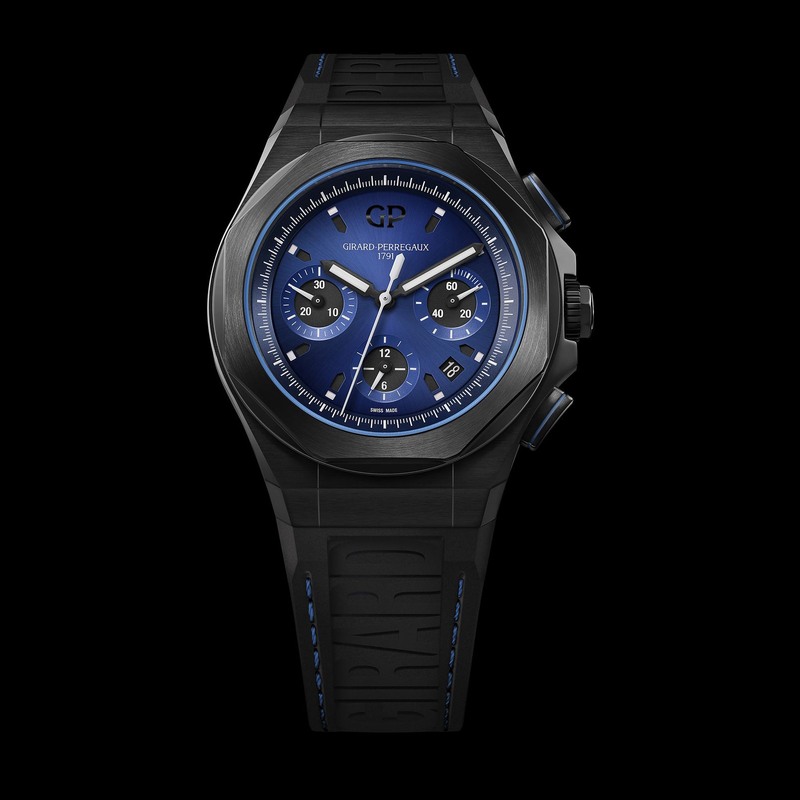 This was widely seen as a step in the right direction for the brand, considering its relatively affordable price positioning within the Richemont Group. 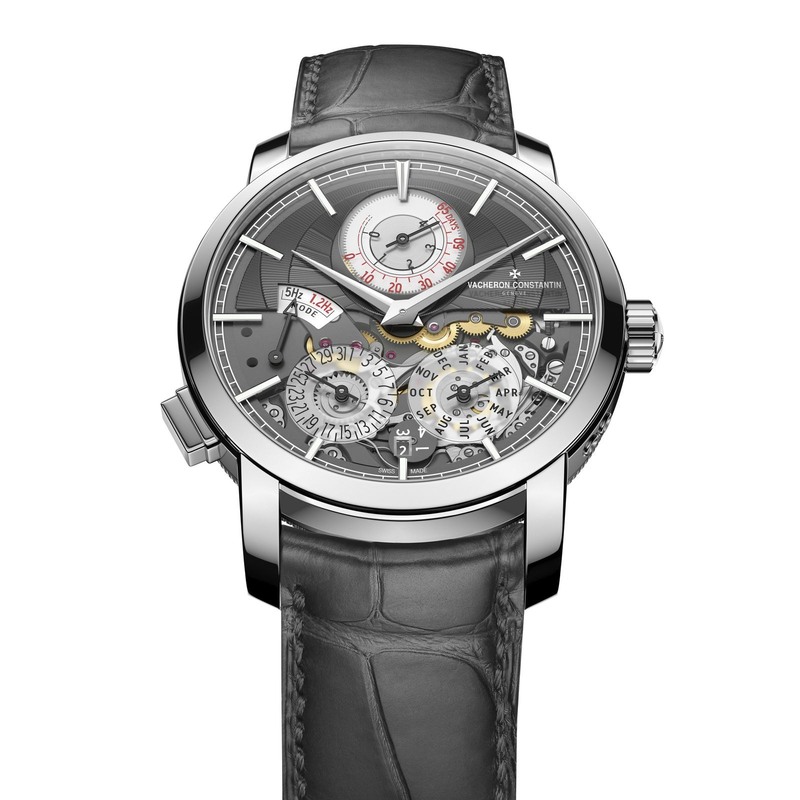 The brand has followed up with the Clifton Baumatic Perpetual Calendar this year, which shows that high complications too, are not the exclusive domain of its larger siblings in the group. The watch is powered by a Baumatic base movement fitted with a well-sized Dubois-Dépraz perpetual calendar module – note how the indications on the dial are well spaced with pleasing proportions. With some luck, we’ll be seeing further developments of the Baumatic line in the years ahead.